It might be summer vacation, but if "cocktail school" is in session, count us in any day. "Professor" John Christie, head Distrito mixologist, is gearing up to teach you a thing or two about Carlos Santana's tequila. Tequila Casa Noble will be the featured ingredient when the class bell rings this Saturday, June 22, from 2 to 4 p.m. at Distrito. Christie will show guests how to make a hibiscus mojito with Casa Noble Resposado Tequila and will also offer samples of his very own "House Infusion" cocktail. Tastings of Casa Noble's Crystal (Silver) Tequila and the brand's Anejo will also be available. According to Distrito, the "House Infusion" cocktail is created in an authentic Casa Noble barrel and aged on-site. Co-owned by Carlos Santana, Tequila Casa Noble is a handcrafted, single-estate grown, 100 percent blue agave tequila produced in the region of Tequila, Jalisco, Mexico. 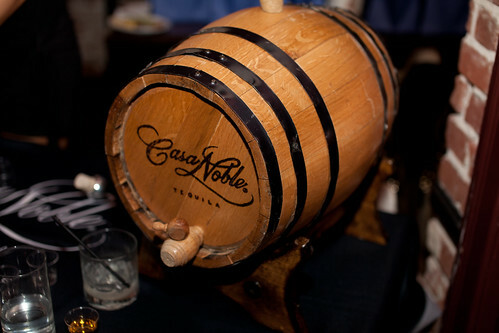 Casa Noble is aged in oak barrels with a light char inside and comes in many different flavors such as the Reposado Tequila, the Casa Noble Anejo, and the Casa Noble Crystal Silver Tequila. The cost for the Cocktail School is $40 per person and includes appetizers. Distrito is located in The Saguaro hotel in Scottsdale.